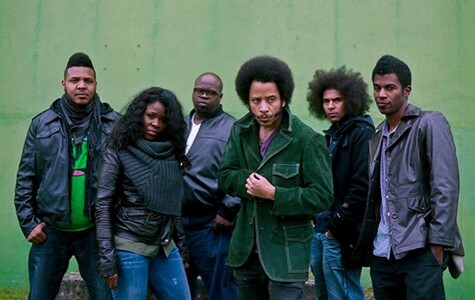 The Coup will headline the Oakland Music Festival. Two years ago, when Jacobo Juarez and Alfonso Dominguez started talking about producing a festival devoted to Oakland music and food, they knew the timing wasn't quite right. Juarez said he was still running his San Francisco-based venue SOM (which closed last year) and Dominguez was busy managing his family's Oakland restaurant, Tamarindo Antojeria, among other projects. Now, however, their timing to launch the inaugural Oakland Music Festival (OMF) on September 21 couldn't be better. "Oakland is standing tall," Juarez said. "It's a great time to celebrate its cultural assets. We're of the mindset that let's at least try it versus regret not doing it." While San Francisco has Outside Lands and Noise Pop, to name a few, the East Bay has only recently emerged as a hotbed for music festivals. In July, Burger Boogaloo held its two-day garage-rock festival in Oakland's Mosswood Park, instead of in San Francisco, where it initially started. On Saturday, September 28, the Levi's co-sponsored arts festival Station to Station will make its final stop on a national tour at Oakland's historic 16th Street Station; the lineup features top indie artists such as Dan Deacon, No Age, Savages, and Twin Shadow. Juarez explained by phone that he and Dominguez envisioned OMF as a way to showcase local talent rarely represented at the larger festivals. More than half the lineup is composed of artists — in the genres of indie-rock, electronic, and hip-hop — who live in the East Bay, and another one-third comes from the greater Bay Area. "There's not a lot of opportunity for East Bay artists to get exposure," Juarez said. "I wanted to showcase my friends. That's why we don't have more commercial or poppy acts on the bill." Juarez, who has lived in the East Bay since 1994 and performs under the name DJ Hakobo, said he handpicked many acts he'd booked at SOM, a Mission District venue that was known for its diverse lineup of up-and-coming DJs, hip-hop acts, and bands. Juarez said he and his wife decided to close SOM in July 2012 to start a family, but the momentum to start the festival was too strong to resist. Juarez said he and Dominguez pulled OMF together pretty quickly, focusing the last four months on finalizing the lineup, vendors, and promotion. In addition to operating Tamarindo, Dominguez is a co-founder of Popuphood, a project that was lauded by The New York Times for its innovative approach to filling vacant storefronts with temporary retail stores. Dominguez' contacts at the City of Oakland helped secure the necessary permits to block off San Pablo Avenue between 17th and 19th streets and obtain licenses to serve food, beer, and wine (which will all be provided by East Bay vendors). The festival features two stages — one indoor at The New Parish and one outdoor. The music kicks off at noon and both stages will have performances simultaneously throughout the day. Juarez said they're expecting 2,000 attendees. With such a wide variety of genres represented in the lineup, Juarez said he scheduled the two stages to rotate between bands and DJs. 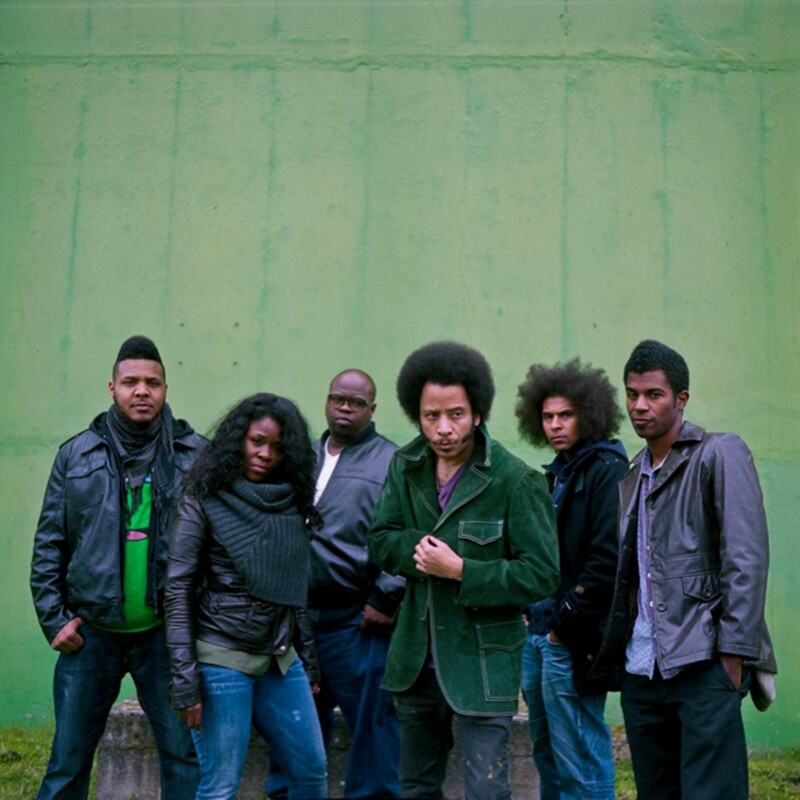 On the band front, don't miss Oakland legends The Coup, whose high-energy performances highlight emcee Boots Riley's flow and Pam the Funkstress' turntable work, and West Coast G-funk legend DaM-FunK, whose performance at Coachella earlier this year drew much acclaim. Fans of indie-rock should check out Oakland experimental-pop trio Religious Girls; San Francisco epic alt-rockers New Diplomat; and the local genre-bending Latin-rock-meets-hip-hop band Bang Data. Also don't miss Oakland emcee, pianist, and composer Kev Choice and his ensemble, who weave together elements of hip-hop, jazz, soul, funk, and classical. Oakland eight-piece band The Funk Revival Orchestra breathes new life into rare funk and soul music. Dead Klown Society combines metal, funk, ska, and reggae into upbeat rock. And Oakland duo James & Evander craft down-tempo pop using synths and drum machines. Among the DJ offerings, there's everything from old-school soul to new-school trap: Oakland monthly party The People will bring its eclectic combination of bass-driven hip-hop and beats from Africa, Brazil, and the Caribbean; Oakland cratediggers from The 45 Sessions will spin funk and soul records; producer Wonway Possibul will play his trademark mix of hip-hop and Latin soul; the Oakland-based crew Trill Team 6, responsible for the wild Sick, Sad World parties, will bump the latest beats in hip-hop and electronic music; San Francisco's Sweater Funk will inspire some retro dance moves with Eighties funk and soulful boogie; and tastemakers Corey Sleazemore and Richie Panic of the Lights Down Low parties will dig out the hottest tracks in underground electronic. And if you're still standing after a long day of dancing, The People and special guests will host an after-party at The New Parish.